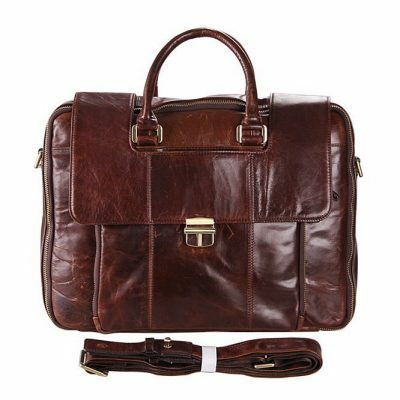 Vintage leather briefcase, full grain leather briefcase for sale, all these handmade brown leather briefcases and black leather briefcases are free shipping. 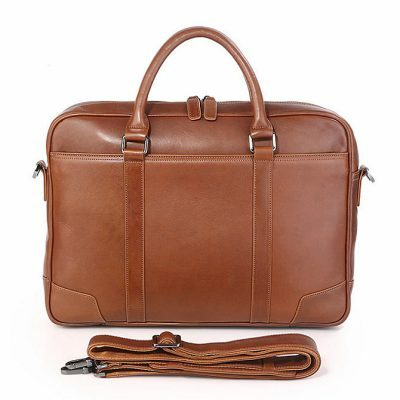 We only offer high-quality and high-end handmade leather briefcases to our consumers. 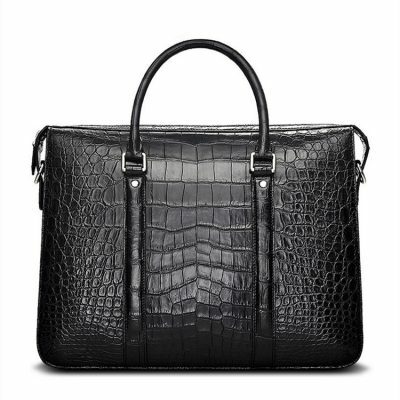 Dressing for success does not stop at your clothes, shoes or watches, Brucegao leather briefcase exudes business style and class. 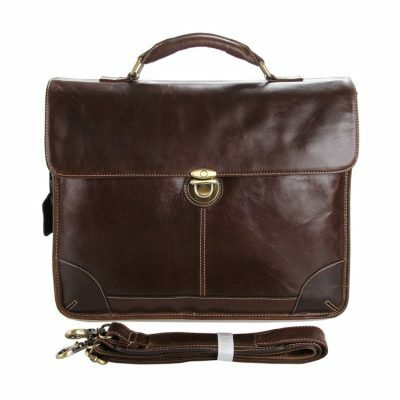 A noble and high-quality leather briefcase is more required to complete your professional image. 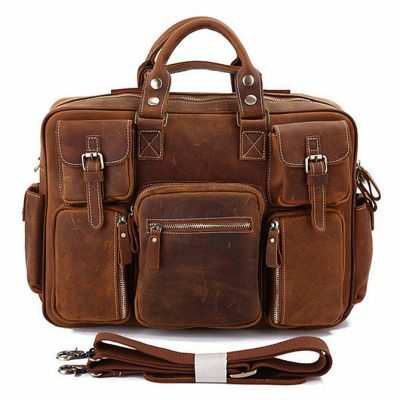 Set yourself up for success – buy VANGOSEDUN leather briefcase now. 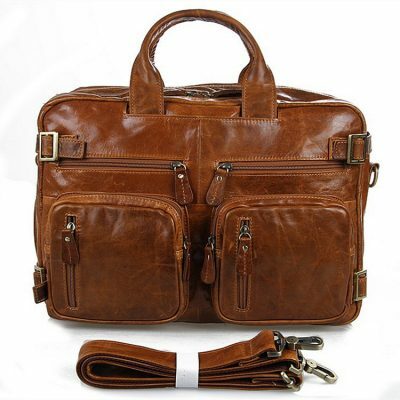 Leather briefcase is a highly important accessory and it communicates a lot about its owner. 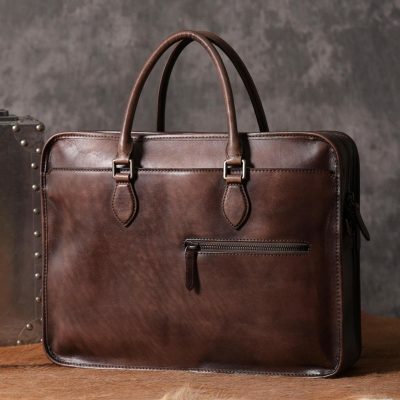 A well-built leather briefcase will immediately add class to your style and will upgrade your work wardrobe. 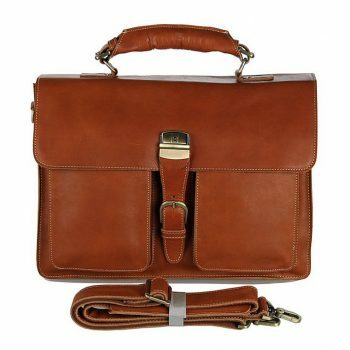 A smart style statement, a VANGOSEDUN handmade leather briefcase is a practical classic that will become a trusted work companion. 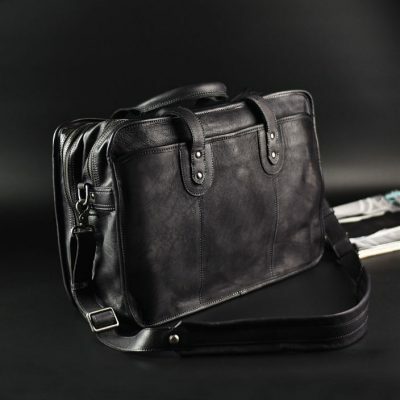 We can guarantee that our leather briefcases will provide you with the quality and craftsmanship you expect. Whether going to the office, a trip or even a casual day out our selection is sure to meet every one of your daily needs. 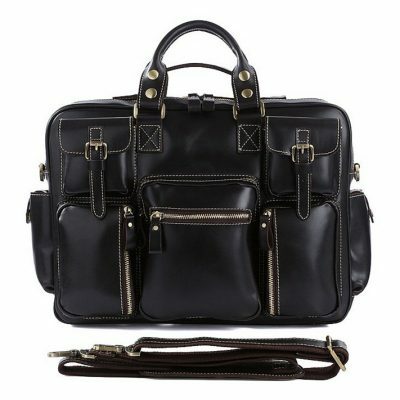 Most briefcase styles include both hand grips and a padded shoulder strap, for maximum versatility. Some models have wheels and a retractable handle, for heavy loads or long jaunts down hallways. While traditional colors like brown, black, navy and camel are the most common shades used by professionals, those in more creative fields may opt for brighter shades such as red, yellow or green. 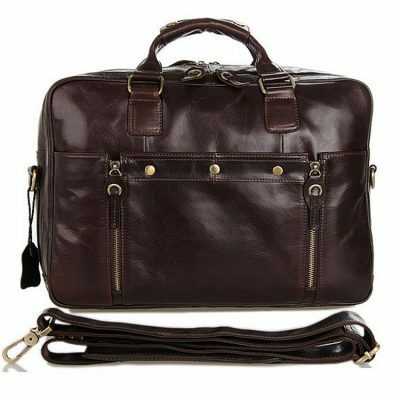 Leather briefcases can be produced from various types of leather and each type has a unique look and feel. Multiple interior compartments keep files and notes organized, while most are large enough to hold a tablet or laptop computer. Exterior pockets provide easy access to keys, calculator or glasses. 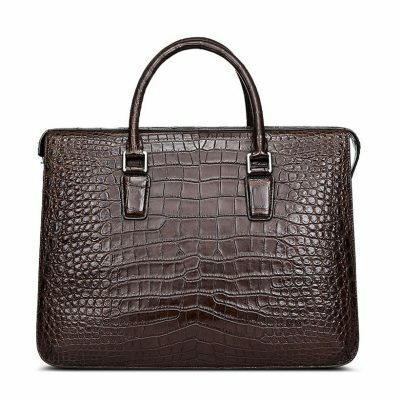 Our leather material is from Argentina and Italy; leather dyes, surface treatment, and threads are from Germany and Japan; hardware is from American and Taiwan; the whole leather briefcase is handmade in Hong Kong. 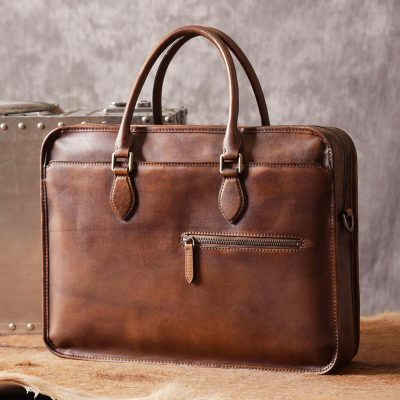 Quality leather improves with age – the briefcase should look fantastic even after a decade of use. Over time, leather changes color and develops an attractive patina. 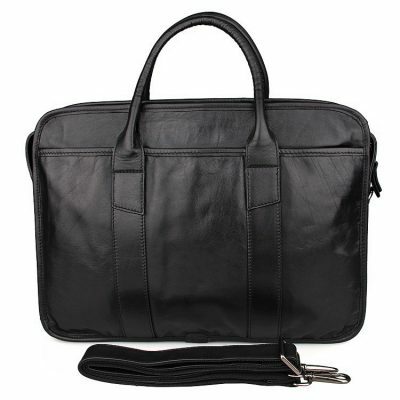 A top quality leather briefcase looks sleek and professional. Genuine leather is durable, flexible, attractive and has a typical smell associated with rugged masculinity. 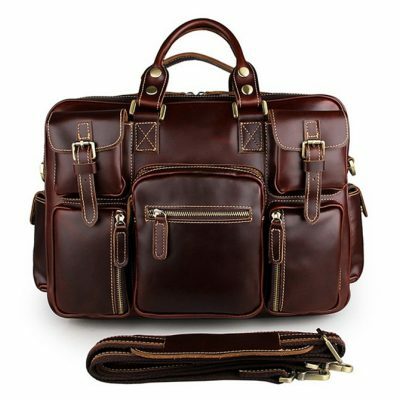 If you are looking for a briefcase, without having to sacrifice your style, then our leather briefcase is exactly what you need. Our goal is to exceed your expectations. 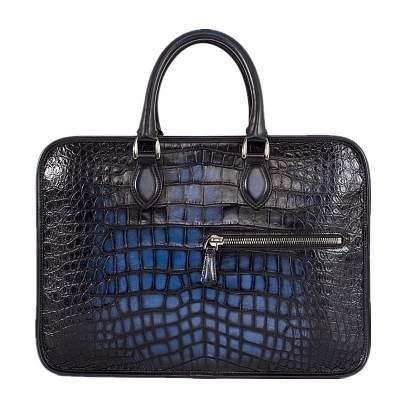 Material: The material of a briefcase affects how it looks, how it feels and how long it will last. 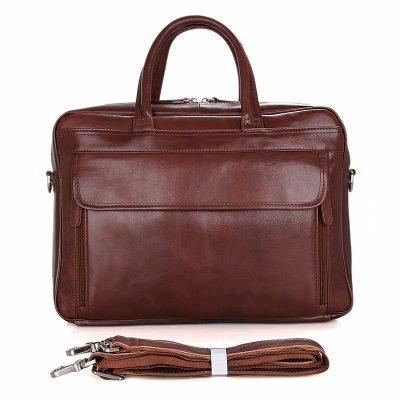 For the utmost professionals, those who want to look like a boss (or perhaps you are one) and make the best impression either in business meetings, job interviews or on your daily commutes, a full grain leather briefcase should be the priority. 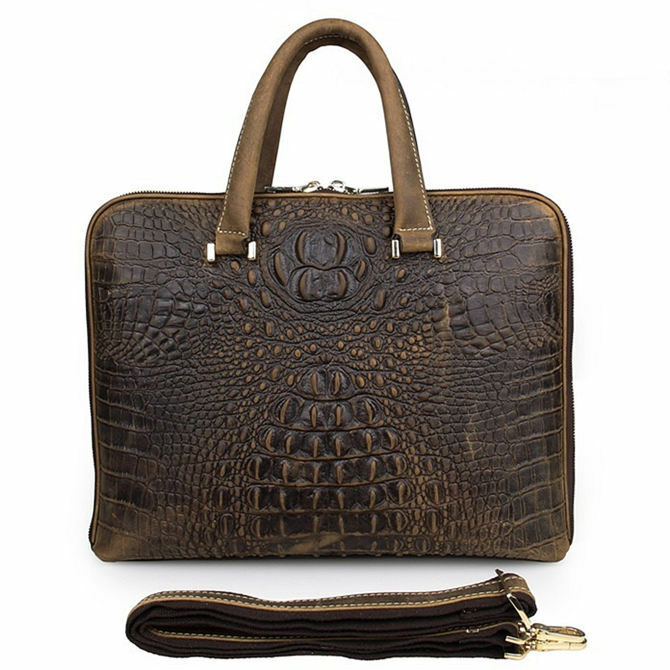 The full-grain leather retains natural surface characteristics of the animal and ages beautifully. And has a very good flexibility, strength and process plasticity, etc. 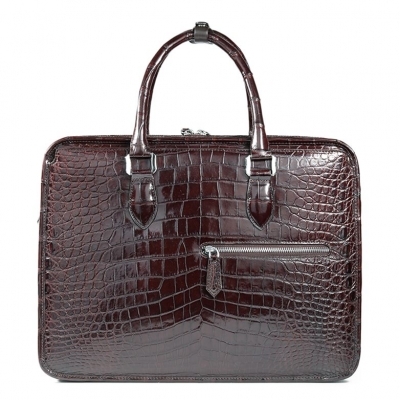 Size: The size of a briefcase should be determined not just by function, but also by a person’s height and weight. 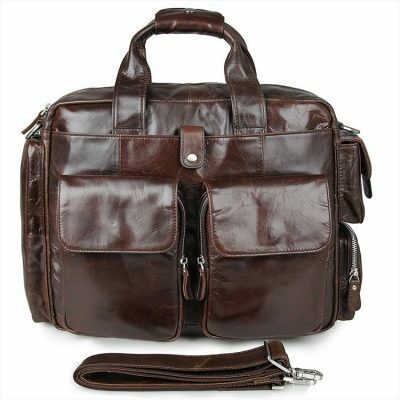 A medium briefcase may be large enough to carry everything, but if it feels too much like a man-purse, a large briefcase may be more suitable. 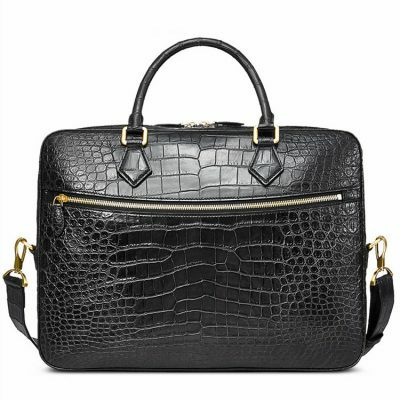 Craftsmanship: Check stitching and seams on the briefcase’s interior and exterior surfaces. Stitches should be small and even, and seams straight, without loose threads. 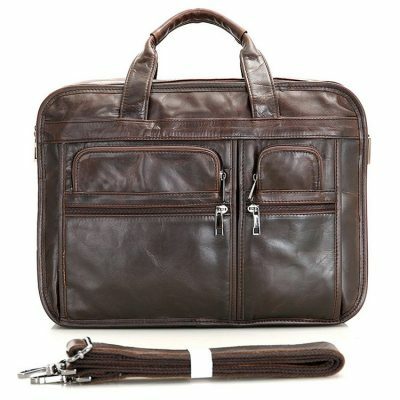 Select a soft-sided leather briefcase only if it has a heavy-duty metal zipper. 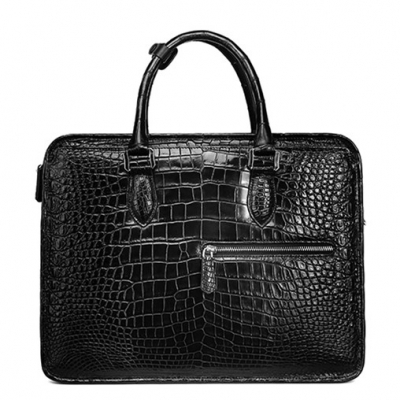 If choosing a hard-sided leather briefcase, examine the hinges. Since hinges are the weak point on a hard-sided briefcase, look for sturdy hinges, free of rust and visible wear. 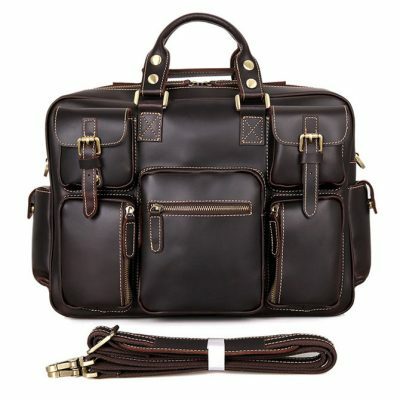 Color: The three most common colors on briefcases for men are black, brown and tan. Black and dark brown are the best options to go for in a professional environment because they project a sense of power and prosperity. Tan and other lighter colors are better for casual purposes where the working atmosphere is more relaxed and informal. 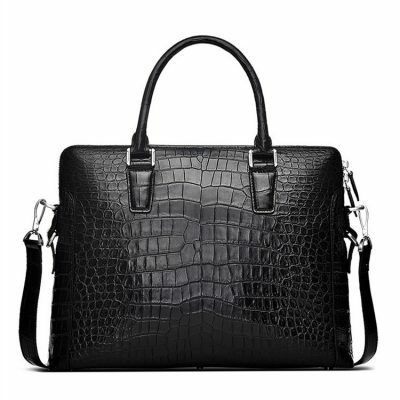 You should avoid briefcases that have more than two different colors on the outside (that includes the stitching) since this is seen as being too flamboyant. 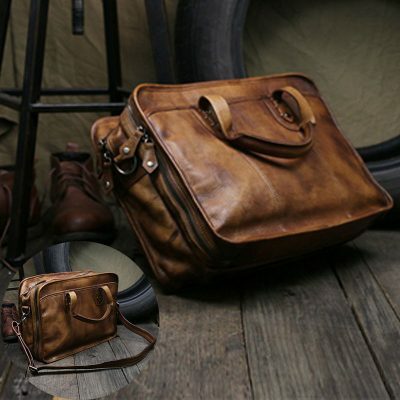 Tanning process: Look for leather briefcases that are naturally tanned. At VANGOSEDUN, we employ an eco-friendly vegetable tanning process. This process makes leather more hard-wearing and helps it preserve its quality as well as versatility. We use this vegetable tanning process in all of our leather briefcases.
. 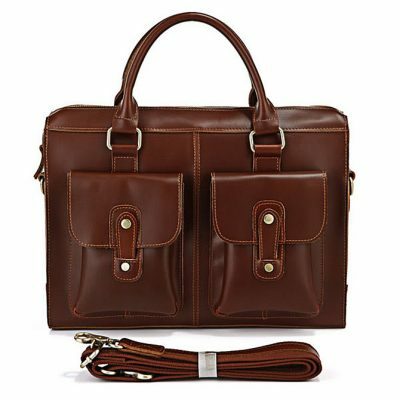 Applying Leather Conditioner: At least once every year, you need to apply a high-quality type of leather conditioner using a clean cloth or soft sponge to your leather briefcases. 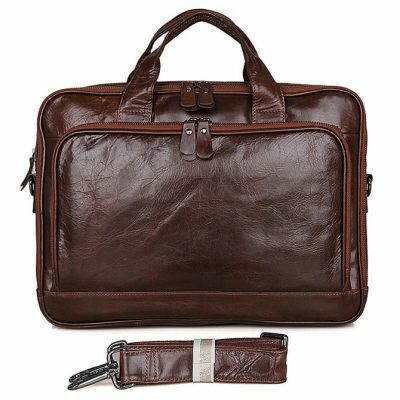 Massage the leather conditioner into your leather briefcases all over the surface. After applying the conditioner, the next thing you need to do is to wipe off the excess amount of the conditioner using dry clean cloth. But, to those who are living in arid type of climate, you need to this every after some couple of months. But, if the climate where you are staying is considered to be more humid, then you can have it every six months.
. 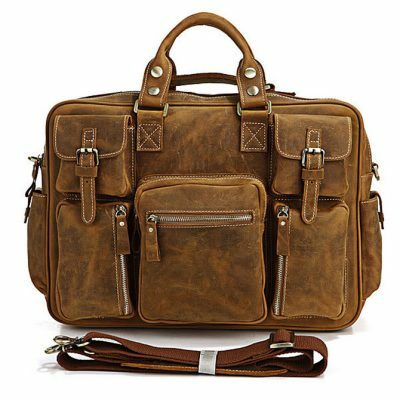 Handle Moisture: If you’ve accidentally spilled water into your leather briefcases, don’t try wiping it using a dry cloth as fast as possible. 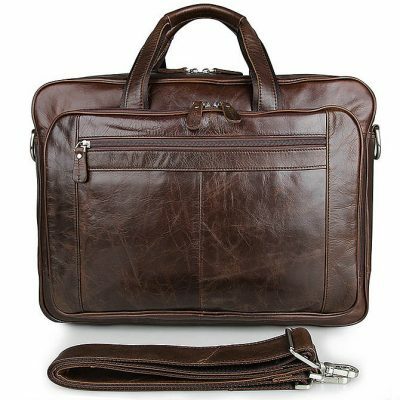 Remember that if the water which accidentally spills on your leather briefcase comes from the winter weather, it possibly contained some salt based substances or products hence moist type of cloth is highly needed to wipe it off. Right after removing the excess moisture, let the leather briefcases to dry. 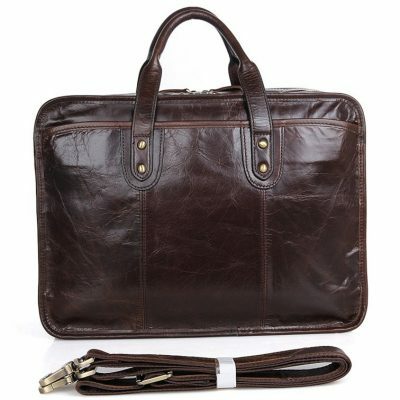 If your leather briefcase is soaked in too much water, make sure to let it dry completely. 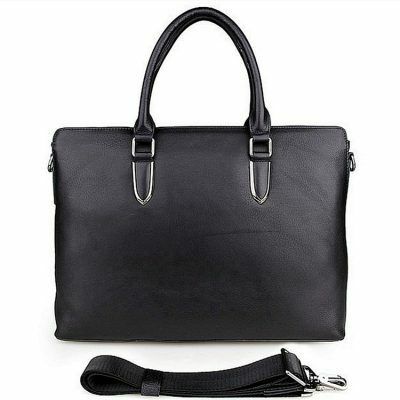 All you have to do is to lay your leather briefcase on a clean and dry floor. Don’t try placing the briefcase close to heat sources for the purpose of speeding up the heating process since this might just damage your leather briefcase. 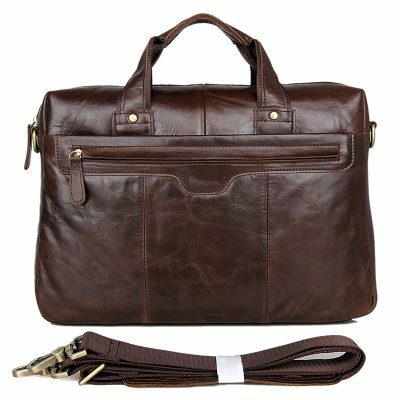 Stuff your leather briefcase with some pieces of newspaper to help it hold its natural shape at the same time absorb interior moisture.
. Remember Inside: You may always love the exterior part of your leather briefcase but you need not forget its inside or exterior aspect. At least every once a month, you are going to spend time wiping interior part of the briefcase. 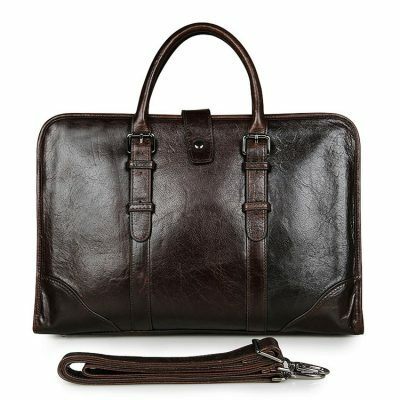 Make use of slightly damp and clean cloth in cleaning the lining of the briefcase to remove all the dust, dirt and other kinds of residue inside.
. Store It Properly: As far as storing leather briefcases are concerned, always remember to store it away from humidity, sunlight, heat, and even dust. It is also recommended to put it in a box or even fabric bag. These are only some of the things you need to always remember how to care for leather briefcases. 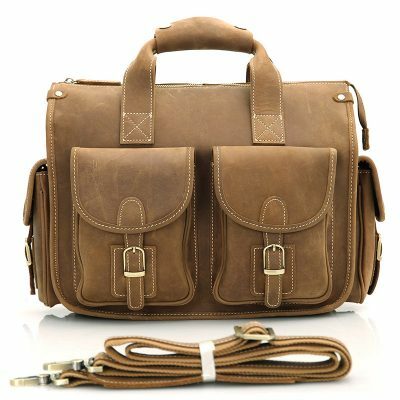 Following the above-mentioned steps, you’re assured that your leather briefcase will surely last for a couple of years with strength and durability free from dirt, dust and other forms of residue. 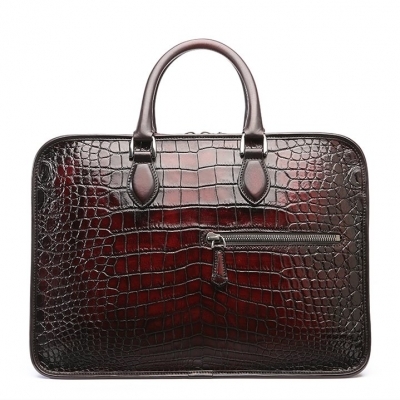 Hot search: leather briefcase, leather briefcases, briefcases, men’s leather briefcases, women’s briefcases, leather briefcase for men, crocodile briefcase, alligator briefcase, luxury leather briefcases, leather laptop briefcases for men, best leather briefcases, leather briefcases online, brown leather briefcase, black leather briefcase, handmade leather briefcases.